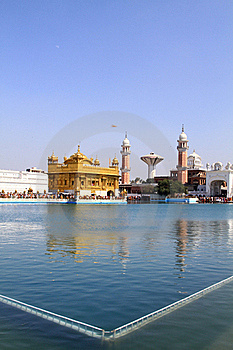 Golden temple situated in amritsar, punjab, India is a sacred place for sikh devotees. Its main temple is covered with real gold, that is why it is named 'Golden temple'. It is surrounded by water from three sides. This water body is known as 'holy sarovar'. It is said that who ever take bath in this holy sarover, his/her problems will be washed away in this water forever.